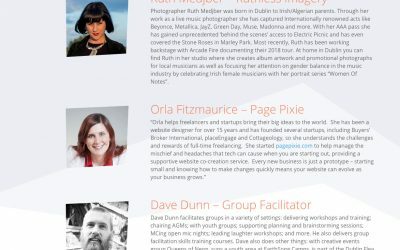 Let Page Pixie help you bring it to life! Many online tutorials and internet gurus make building your own website sound so simple but a great website is more than just words on a page. It is knowing what colors and imagery to use, how to structure content that flows, and how to craft an exceptional user experience that delivers for your business. That knowledge and skill takes designers years to learn and master. Now you can take advantage of our professional designers on a collaborative, real-time build to bring your vision to life! Initial planning call to discuss your project – setting up hosting & domains, what access details are needed, discussing styles you like and what to expect from the build. We answer all your questions and put together a plan for the live build session. Real-time, collaborative build session with a professional designer, where your ideas are turned into reality. You are involved in every step of the build or re-design ensuring you have full control. One week later, we follow up with an additional one-to-one consultation, to answer any questions you might have & ensure you are happy with your shiny new design. You have an idea of what you want to create but you are struggling to understand what steps to take next. Wouldn’t it be great to have an expert by your side, advising and building your website with you? Instead of wasting months in tears and frustration, our co-creation service ensures that you have a professional website live in just one day. We handle all the heavy lifting, while giving you real-time input into each part of the design and build process. Help Me Create My Website! You’ve done the groundwork; getting your hosting and domain, installing your website and writing all of that content. After playing around with several themes, you just can’t seem to get the look you are going for – something is just not right! Wouldn’t it be great if you could get someone to cast a seasoned, expert eye over your entire online presence and, not only show you what to do, but take much of the heavy lifting off you? 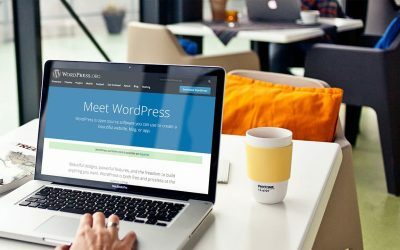 Well, that is what we do – we evaluate, re-structure and re-design your website – with you – during our real-time WordPress re-design sessions. Take a step back and let us bring our little touch of magic to your website! Help Me Improve My Website!